1 [on being chosen to direct Star Wars: Episode IX (2019)] This is not a job or an assignment. It is a seat at a campfire, surrounded by an extraordinary group of storytellers, filmmakers, artists and craftspeople. We've been charged with telling new stories for a younger generation because they deserve what we all had - a mythology to call their own. We will do this by channeling something George Lucas instilled in all of us: boundless creativity, pure invention and hope. 2 The best of all kinds of movies are character-driven, and I definitely don't want to lose sight of why Derek and I started to write movies together in the first place. 3 We would go back and maybe not say that thing to our dad that we said, or maybe be a little nicer to someone who we cared about and had a relationship with when we were young. You know, they're subtle things, but we carry those with us forever. And I think that regret and time travel are intrinsically linked to me. 4 There's no such thing as good or bad dinosaurs. There are predators and prey. The T-Rex in 'Jurassic Park' took human lives and saved them. No one interpreted her as good or bad. 5 We've all been disappointed by new installments of the stories we love. But with all this talk of filmmakers 'ruining our childhood,' we forget that right now is someone else's childhood. This is their time. And I have to build something that can take them to the same place those earlier films took us. 6 That's the thing about leaks: sometimes they aren't misinterpreted or false. 8 There's no shame in being romantic at all. I think people want to feel that sense of romance, which is rarely even attempted anymore. 9 Like a lot of people my age, I grew up on Amblin movies. They're a part of who I am as a filmmaker and, arguably, as a person. 10 'Jurassic Park' isn't about the bad luck of three people who keep getting thrown into the same situation. 11 I tell you, man, I'm every bit as a 'Star Wars' fan as anyone else. 12 I live in Vermont, and we don't have a tax incentive there, and therefore, we don't have professional crew there. 13 I love big movies, and I love big moments. 14 I like to believe that intimate moments between characters don't need to be relegated to independent films. 15 I think that no relationship goes completely according to plan or the way you wished it had. 16 I've said before: 'If you're going to earnestly sing a song around a campfire, you'd better be a Muppet!' Or else we're just not going to buy it. 17 I'm a 'Star Wars' kid. I'm a 'Back to the Future' kid. I'm a Spielberg kid. 18 I'm from Oakland and San Francisco, so I feel like the Pacific Northwest starts there and goes north - so, it's home to me. 19 I was not a kid who watched every movie. I watched a very small number of movies over and over again. 20 I think, if you can, it's OK to put something in a movie because it makes you feel good. 21 Nobody wants to make a bad 'Flight of the Navigator' remake. There's just no interest. We're going to do it if it's good. 22 I'm gullible. I think people mean what they say. 23 I love the challenge of having one character who is traveling back in time to find someone. Nowadays, the only way we think to find someone is on Facebook. 24 'Jurassic World' takes place in a fully functional park on Isla Nublar. It sees more than 20,000 visitors every day. You arrive by ferry from Costa Rica. It has elements of a biological preserve, a safari, a zoo, and a theme park. There is a luxury resort with hotels, restaurants, nightlife and a golf course. And there are dinosaurs. 25 I didn't watch horror movies when I was a kid. I didn't watch any bad movies. 26 I like how you can go back and watch David Lean and John Ford and see the influence that had on Steven Spielberg, especially David Lean, in the camerawork, and yet, you don't watch any Spielberg movie and think of David Lean. Once you're looking for it, you see it all, but it's not in your face. 27 I feel like we've found an interesting little corner of the sandbox here as far as the way we're telling sci-fi stories. I don't think it's limited to sci-fi - I think anything fantastic can co-exist with people you and I know, and not these hyper-real movie people. 28 'Jurassic Park' movies don't fit into a specific genre. They're sci-fi adventures that also have to be funny, emotional, and scary as hell. That takes a lot of construction, but it can't feel designed. 29 I was re-watching 'E.T.' recently, and that scene where they're all around the pizza, bringing the pizza in, and gambling and stuff together, it's such an amazing tone, it's so rough, and nobody's really talking about anything, and it feels like you're in that room with them. 30 I feel like, on a more macro scale, there's started to be a relationship between filmmakers and people who watch their films - you know, on Twitter and on the Internet. 1 He is the first director to of directed a Jurassic Park & a Star Wars film. 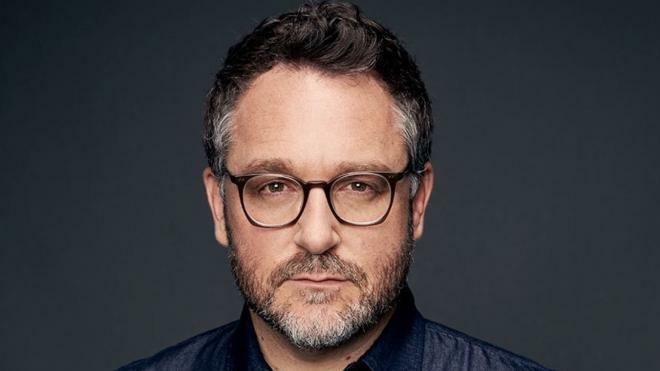 Colin Trevorrow will be back to direct "Jurassic World 3"